This class series will provide a solid introduction to the basic pole techniques from grips, positioning, pole spins, and allow you to gain the proper strength training on the pole necessary for you to move onto the next level. This 60min class includes; warm-up and stretching, simple pole moves, spins, floor work which are all combined to create a easy-to-learn routine for all. 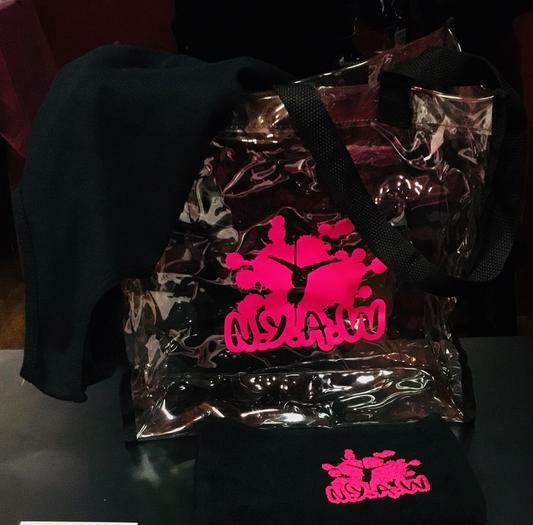 In addition to the class you will receive a flat abs meal plan, NYAW bag, towel, and tank (as show in the picture), and 1 additional pole class per week. The Deposit holds your spot, your remaining balance is due on or before the start date of your class. Deposit is non refundable.